When you use an iPad you need to consider the ways that you can connect to broadband while on the go. The ways that you are able to connect will vary depending on the iPad that you have and the mobile broadband package that you choose to use. It is important that you consider all the options that you have available. The first step in doing this will be to determine what you can use with the iPad that you have. You should then look at all the different mobile broadband options that you can get from the different providers. There are two kinds of iPad on the market and you need to know which one you have. The type of iPad that you have will determine the type of Internet on the go that you can use. The first type of iPad that you are able to get is the 3G and 4G enabled iPad. The second is the Wi-Fi only iPad. When you have an enabled iPad you will be able to use a range of different Internet on the go options. There is one particular option that you can only use with this type of iPad. These are the iPad Micro SIM deals. To use these deals you will have to have an iPad that can read the SIM card you are getting. iPad Minis use a nano SIM rather than a micro SIM. With a Wi-Fi only iPad you can also choose from a range of different options. However, you might find yourself slightly limited when it comes to connecting on the go. You should technically consider all of this before you purchase the iPad. One of the ways that you will be able to get broadband on the go with both types of iPad is through the use of Wi-Fi hotspots. There are more and more hotspots in the UK and abroad. When you use this connection you will be connecting your iPad to a Wi-Fi signal that is hosted by someone else. The wireless signal could be free or part of a subscription network. Many restaurants and coffee houses will have free Wi-Fi for their customers. This is the same with a number of hotels and pubs. In many city centres you will be able to find free and paid for hotspot areas. The hotspots that you have to pay for will generally be free for certain people. These people will be existing customers of the company that is hosting the hotspot. This means that if there is an O2 hotspot, customers with O2 will be able to use this for free while other people may have to pay for this. The problem with relying on hotspots is that they are not everywhere. You have to know where the hotspot is or hope that there is going to be one where you are going. One of the most common ways that iPad users are able to connect to the Internet on the go is through SIM only broadband deals. These deals will only work with the enabled iPad because they are the only ones that are able to use the SIM card on offer. When you get one of these deals you will have a SIM card that you insert into the iPad. The iPad will read the SIM card and connect you to the appropriate network. The amount of data and the speeds that you are going to be getting are determined by the deal and the provider you are using. There are two different mobile broadband networks that you can connect to and they are the 3G and 4G networks. Of course, you have to ensure that the iPad you have will be able to connect to the network you are looking at. It is possible to use comparison websites like uSwitch to determine the best SIM only deal for you. When you look at these deals you have to consider the coverage of the provider and the amount of data that you are going to be getting. Another way that you will be able to connect to the internet using both types of iPad is though the use of a Mi-Fi device. These devices work as a portable modem and router for mobile broadband. When you use the Mi-Fi device you are going to be connecting to the mobile broadband signal through a Wi-Fi connection. The SIM card that you need to connect to mobile broadband will be placed in the Mi-Fi device. The device will then read the SIM card and connect to the mobile broadband network. Once this has been done the device will emit a cloud of wireless signal that allows you to connect to the mobile broadband. 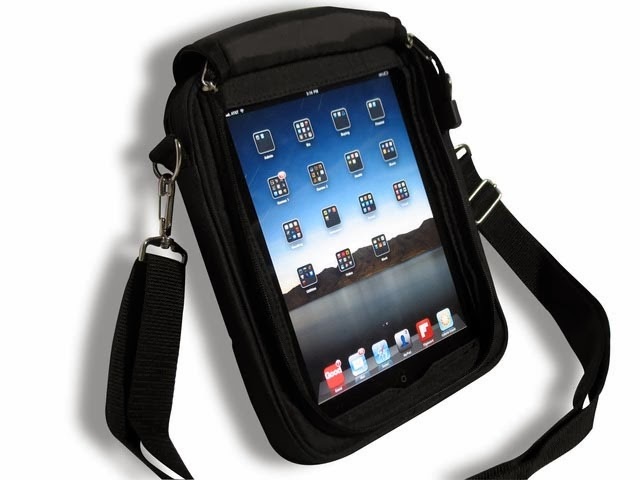 This is often considered to be the best option for people who have an iPad that is Wi-Fi only. The reason for this is that people who have an enabled iPad feel that the Mi-Fi device is an unnecessary step between them and the broadband. It is possible to find a range of different deals for the Mi-Fi device. There are many providers who offer these devices to their customers. There are also a number of generic devices that you will be able to get. When you purchase a generic device you will be able to use a SIM card from any provider in it. The last option that you have to get Internet on the go with an iPad is to tether the iPad to your smart phone. When you do this you are going to be transforming your smart phone into a mobile hotspot and allowing the iPad to connect to mobile broadband through a wireless signal. However, this is considered to be a final option for many people. The reason for this is that many mobile networks do not allow it, and it also consumes a lot of batter. It is possible that your battery will be depleted very quickly when you use your phone in this manner. Phil Turner wanted to see what options he had for getting Internet connectivity on his new iPad, so he visited uSwitch.com where he read about iPad Mini SIM deals.